I got my start as a Magento developer shortly after the platform’s inception and have been a loyal advocate ever since. I’ve seen this platform continue to grow and innovate – and in my experience working with several eCommerce platforms over the years – I stand by my opinion that Magento is amongst the most flexible, customizable, robust and inclusive solutions available. So when I read about this deal, I first had to take a step back for a little pat on the back moment. Magento was last “sold” (when it went private again) for $200 million just 3 years ago….Adobe just acquired them for $1.68 BILLION. Call me crazy, but that kind of growth just doesn’t happen if you’re not doing something right, and it feels like a proud moment for someone who has been working with the platform for a long time now. Now for what this deal means. If you had a chance to take a look at the announcements from both companies, the common thread you’ll find is the emphasis on the cohesiveness between content and commerce in today’s consumer landscape. Consumers expect every moment and interaction to be shoppable, and both companies are committed to merging their capabilities and providing the opportunity to create these experiences for their consumers. The best example I can think of to demonstrate this insatiable need by consumers is the demand in the not-so-distant past for the capability to shop directly from an Instagram photo. People see an outfit or a piece of furniture in their favorite influencer’s photo and they want to know where they can get it for themselves. Now you can’t scroll your feed without seeing photos dotted with tiny little numbers, that’ll take you directly to a page where you can buy the items pictured. One thing I’d expect to see from this partnership is the rollout of enhanced tools to provide these sorts of experiences – both on and offline – in a variety of scenarios. The Street reported another interesting tid-bit to look out for. As these major cloud players (ie. Salesforce vs. Adobe now with Magento) look to acquire and offer assets that cover all possible relevant niches for their customers – will we see acquisitions of service-as-software players next? There’s some synergy there that could make these cloud masters even more appealing for sure. And my own personal prediction is that we see an AI play next – whether it’s an in-house innovation, or another newsworthy merger or acquisition – to provide these real-time, custom, on-demand experiences consumers increasingly demand – I’m calling a lookout for where the robots are going to come into play. 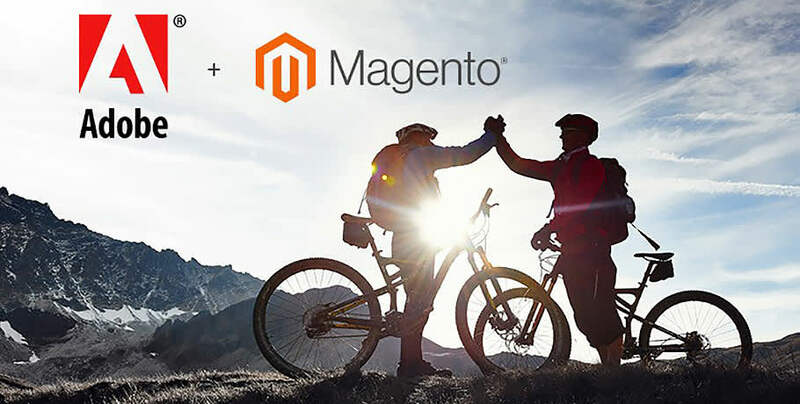 Overall I think this deal can only mean good things for current Magento users and those considering the platform for their eCommerce business, and as a long-time Adobe customer myself as well, if I do say, it’s a great match.